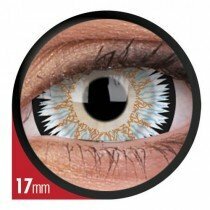 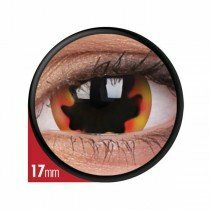 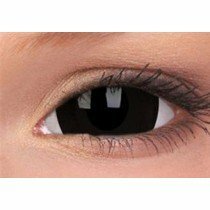 ColourVUE Mini Sclera Coloured Contact Lenses are a new and innovative design in the coloured contact lens industry, because they are 17mm in size- which means they will cover a large expanse of your eyes, which will give you a truly supernatural and dramatic appearance! 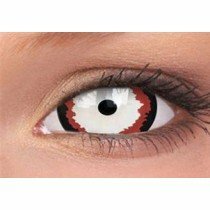 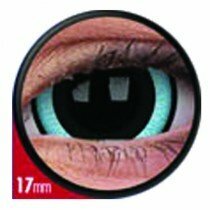 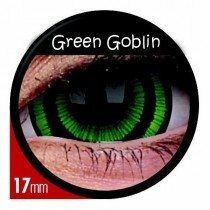 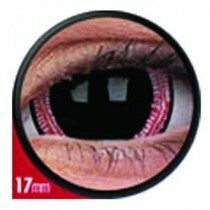 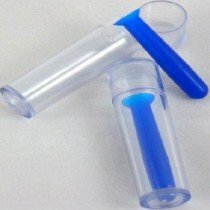 These coloured contact lenses come in a variety of colours and designs, and are used widely in movies and tv shows to create special effects- such as the tv series, Supernatural. 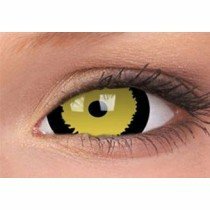 If you are looking for something different this Halloween then these coloured contact lenses are the ones for you! 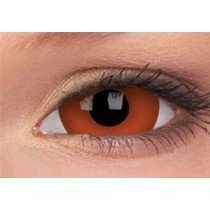 These coloured contact lenses are the ultimate Halloween coloured contact lenses, because they will supply you with a truly theatrical appearance! 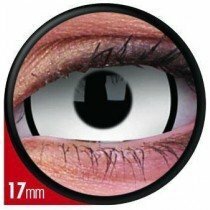 You may have to practice inserting them, but the finished results will be brilliant and well worth the effort- practice makes perfect! 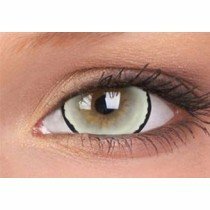 If you're slightly more daring, then take a look at these ColourVUE Full Eye Sclera Coloured Contact Lenses- which are slightly larger, at 22mm!